All ready to welcome our guest. Chinese New Year means nothing to the Japanese , it is another day at work or school or home. 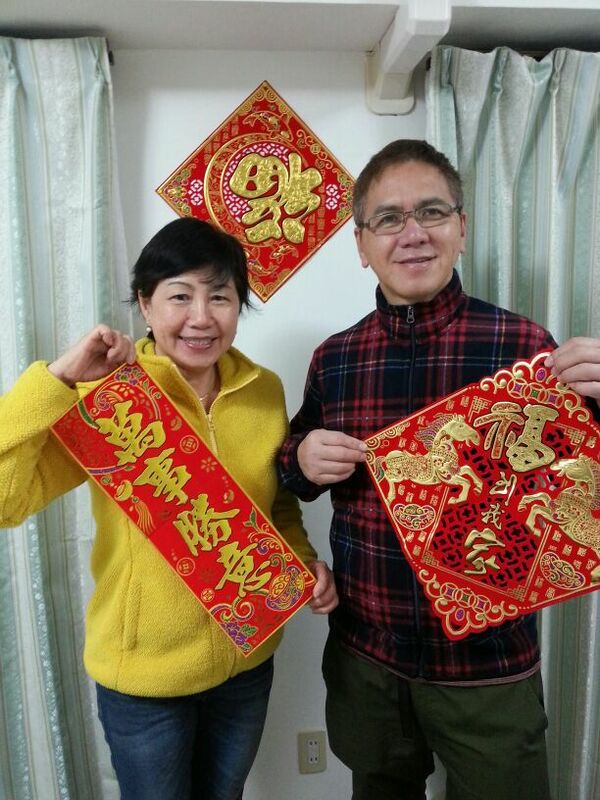 But for us Singaporeans who are Chinese , living in Sendai , we really missed the atmosphere of CNY back home. The re-union dinner on the eve , where family will get together for a meal . For Christina and I it is usually done at her mother’s home. ( steam-boat , YuSheng , lor-duck , ngoh hiang , vegetable soup with fish ball and abalone…etc..) .On the first and second day of CNY , it is visiting relatives and friends . 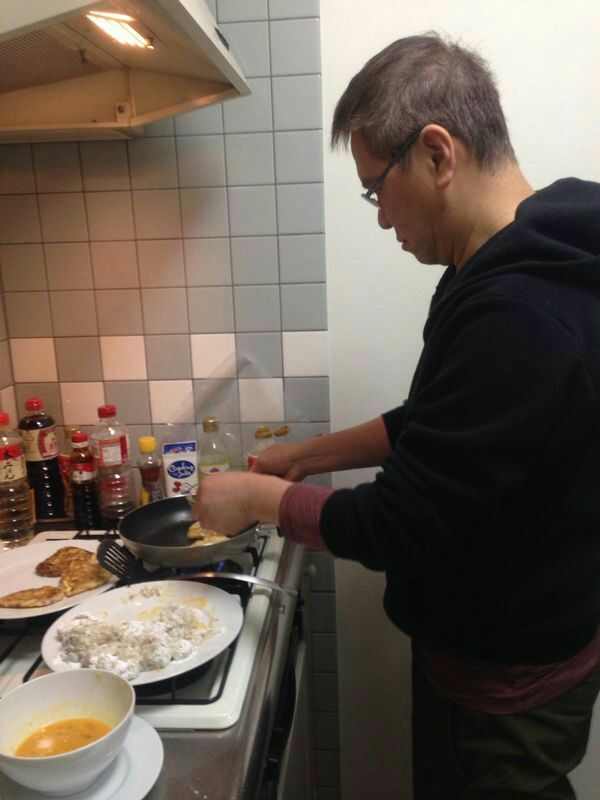 Highlight was a meal at my sister’s house ( home cooked cantonese food ) . 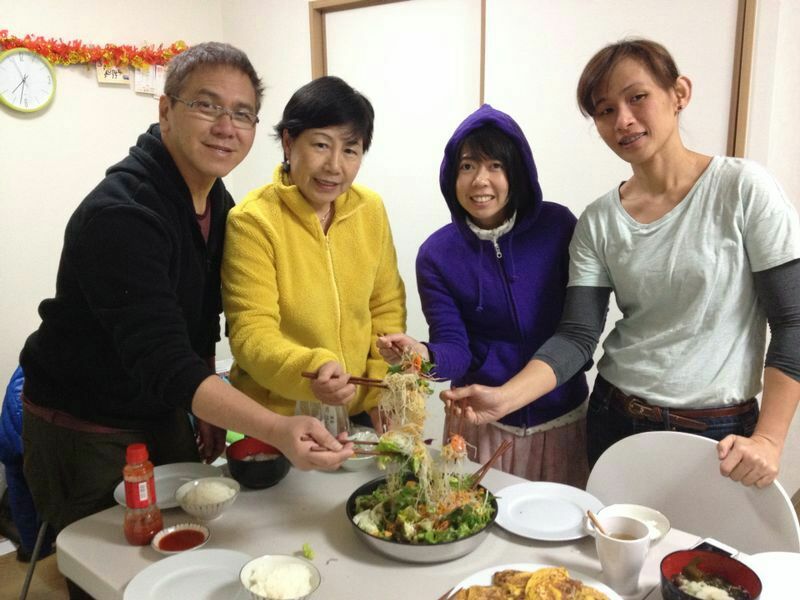 We are proud of Clarence and Caroline who took over the responsibility of visiting some of our close friends , former neighbours and relatives while we are away in Sendai, Japan. Yes , we missed having CNY back home ! 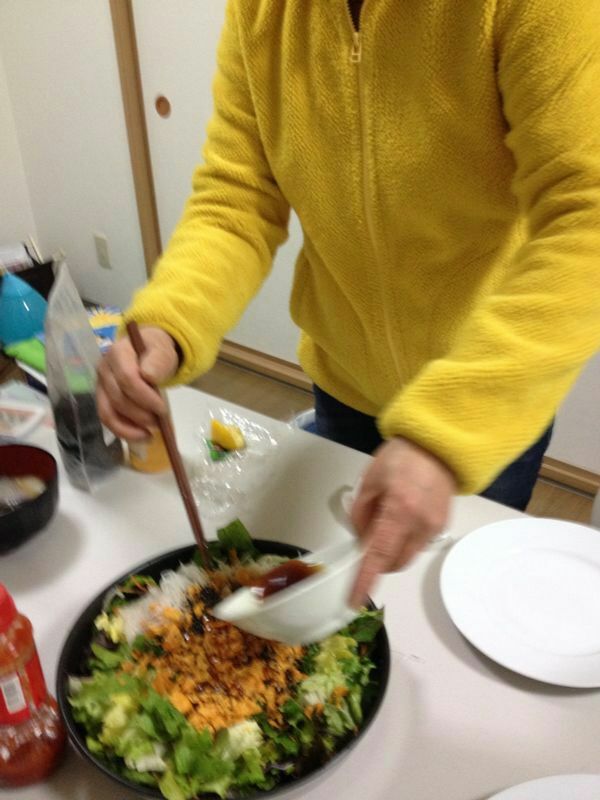 But we did try to create the traditional CNY atmosphere in Sendai. 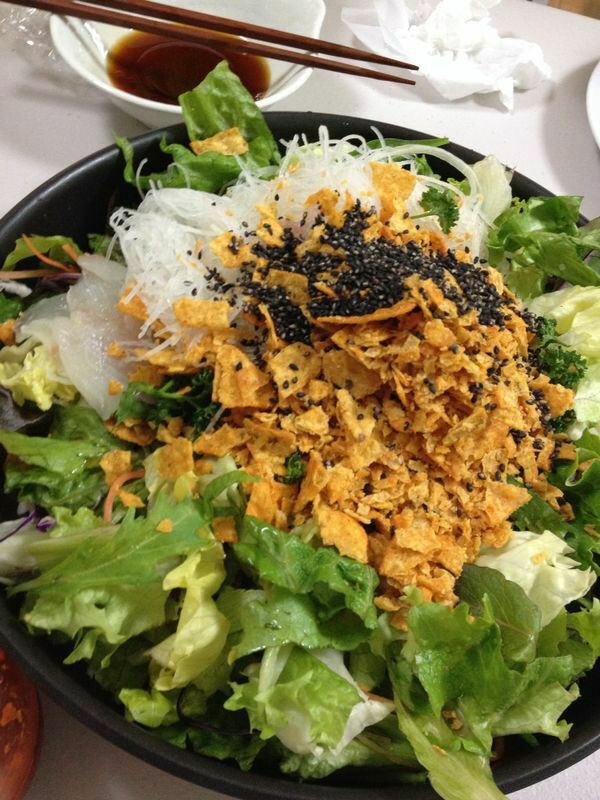 The Gideonite team had our own re-union dinner with white radish cake and Yusheng ( Christina’s original recipe of Japanese Yusheng – fish sashimi , 2 packs of Japanese salad , one pack of Totilla chips – crushed , black sesame seeds with soya sauce, honey , lemon juice, olive oil ) Oishii !!! 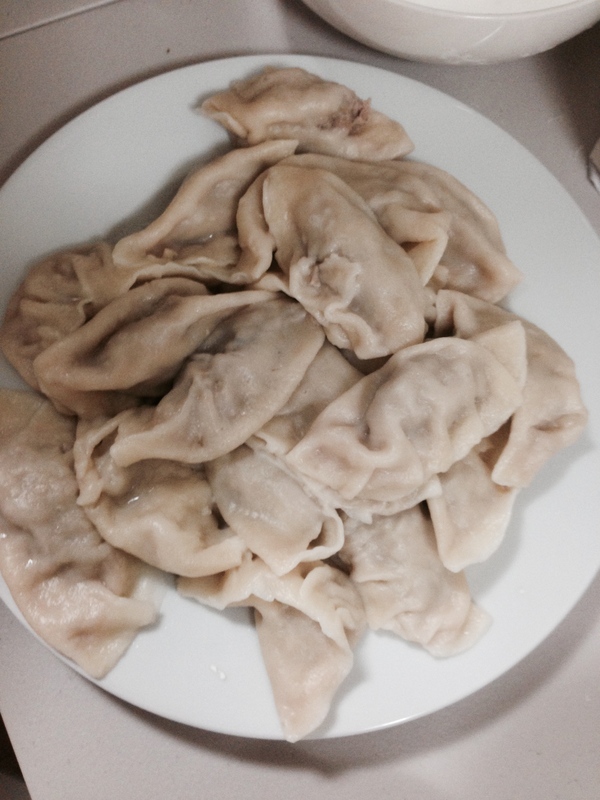 On first day of CNY we had steamboat dinner ( Nabe – Japanese style steamboat ) together with a new friend from China who volunteered to personally make and cook chinese dumplings (jiaozhi) for us . 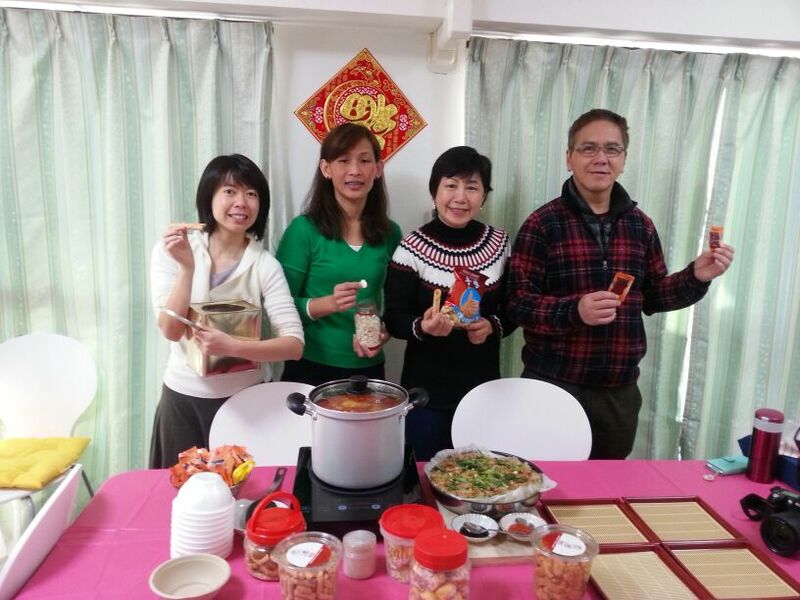 On the second day , we invited our new friends in Sendai to celebrate CNY with us. The Gideonite chef ( Christina and Pek Kuan ) whipped up a sumptuous meal for the guest ( curry chicken , glutinous rice , fried beehoon , white radish cake ) . Not forgetting the traditional cookies for CNY like pineapple tarts , love letters cookies etc.. CNY is not complete without a round of singing CNY songs ( led by Victoria ) , giving of Ang-Pows (chocolates not money ) to kids .We shared “iBless” to bless our guests. Gong Xi Fa Cai Pastor Caleb and Christina!!! 🙂 may God continue to bless the work of your hands in Japan:) so good to read about how well you’re connecting and reaching out to your new neighbours and friends!